A simple Sitootery. 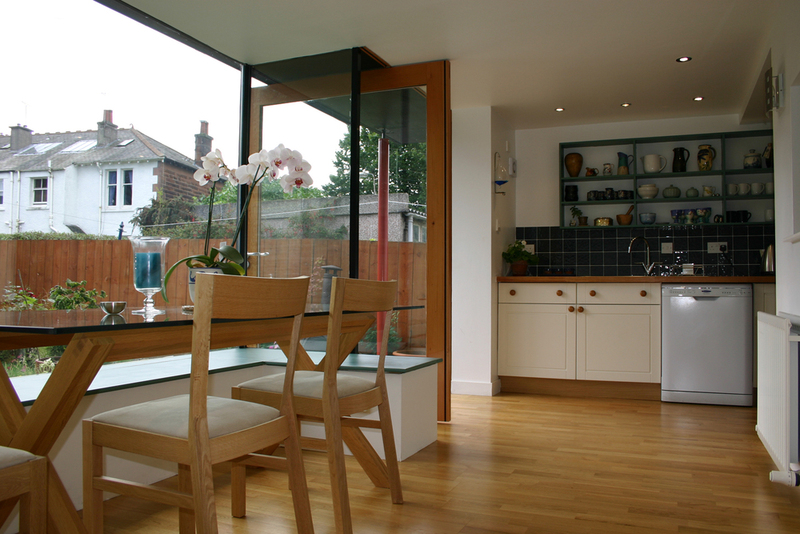 Two whitewashed masonry book ends, a window seat, a big pivoting glazed door and a thin edged roof. It provides elbow room and a connection to the garden for a small end of terrace house.